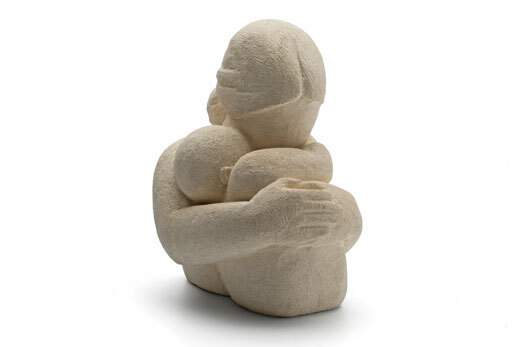 Most of theresa gilder’s work comprises intertwining figures carved into a recognisable form thereby conveying the loving, caring nature of humanity. 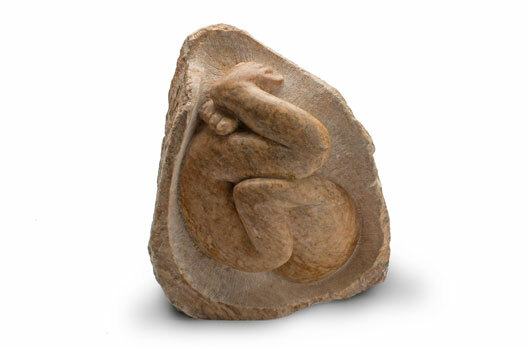 Her sensual, tactile figures invite the viewer to touch and participate in the emotive feelings they create. On occassion you may find a single form, but it’s rare: these can represent the introspective side of nature such as contemplation, grief. Tranquility or solitude. Born in manchester in 1935, theresa has led a varied and interesting life. Leaving school aged15 she worked for a firm of solicitors but soon realised that office practice was not for her, so answering an advertisment for a trainee textile designer she worked in a studio for 3 years. While there she fulfilled an ambition, to be a fashion model by taking a course at the lucy clayton agency. This resulted in her free-lancing both in textile designing and modelling. A year later shr turned her life around by leaving manchester and moving to west penwith in cornwall. This was because of an overwhelming desire to be outdoorsand close to nature. For the next two years she worked on farms doing any job asked of her. Eventually her creative instinct took her to penzance school of art where she obtained her diploa in arts and crafts. Being female and aged 22 it was difficult aquiring a grant as she was regarded as a “marriage risk” so she sustained herself by working as a waitress in her spare time. Because she was fortunate enough to come under the tutelage of bouverie and inez hoyton, john tunnard and barbara tribe her love of sculture began to develop. Eventually she went on to marry and live in bavaria; her three sons have all inherited her artistic abilities. 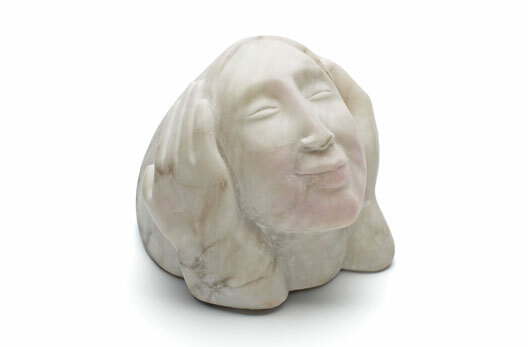 On returning to cornwall, whilst caring for her family,theresa was commissioned to make several portraits in clay, this meant setting up a studio and soon her sculptural career took off. She taught art part-time at a local school, english to foreign students as well as experiencing teaching in adult education for cornwall county council, so when the opportunity arose to teach stone carving at penzance school of art she was delighted and went on to succeed her former tutor, remaining at the school for another 16rs. Gilder’s work has been sold all around the world and can be seen in galleries and arts fairs throughout britain; she was commissioned to create a carving which was reproduced in pewter by a local artist, to present to the corporate donors of the “home farm trust”. The original was presented to princess ann, the schemes patron. Jefferey archer, who is a well known collecter of fine art, has one of gilder’s, “mother and child” by his bedside. Her work appeals to a cross section of society from corporate bodies to charities, public gardens and private individuals. Having carved granite, marble, serpentine and portland stone, she’s now taking things easier by working translucent alabaster. Theresa considers herself most fortunate in being able to make a living in doing something she loves, she says, and if it gives pleasure to others then that’s a bonus.